While we all eagerly waiting for Ford to launch its first purposely built alternatively fueled model, we all know it is still around two years away. So, before Prius and Ioniq rival arrives, with presumably quirky looks designed by aerodynamic laws and highest possible mpg offer, we do have other things to turn to, as far as blue oval is concerned. 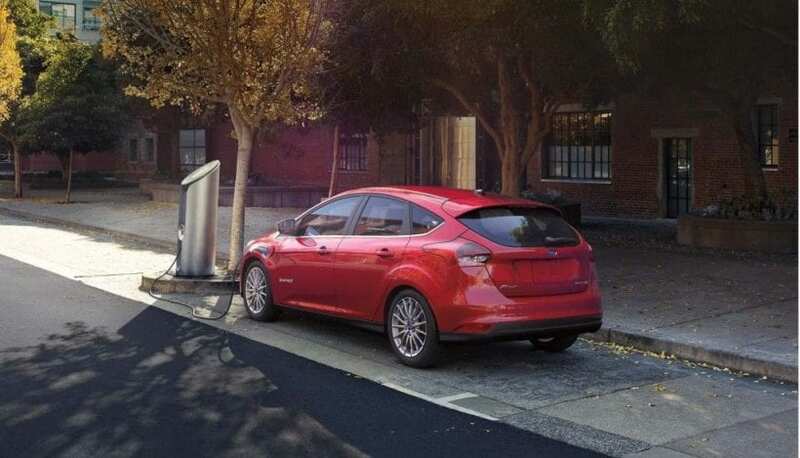 Currently, Michigan car maker offers C-Max and Fusion in hybrid or plug-in hybrid variants and non-compromised purely electric Focus. 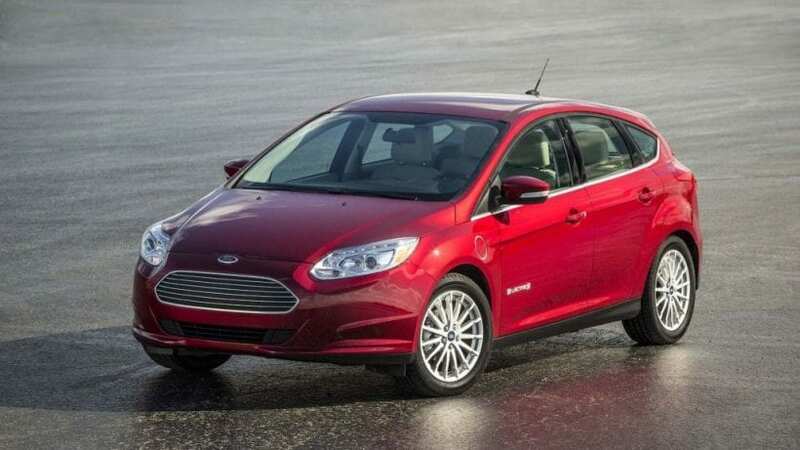 It was introduced in 2011 and after quite some time on the market, let’s see whether 2018 Ford Focus Electric is still competitive. There is nothing new for 2018 Ford Focus Electric, apart from new body color, to make everything clear from the start. Electric powered Focus still looks like standard Focus, and on the streets, existing differences are not so highly recognizable. But they do exist. The EV had an Aston Martin-style grille from the start, while regular model adopted it after a facelift in 2014. Later on, the green car received restyled tail lights inline with regular Focus, but it retained old headlights and non-bumped hood. In the end, it represents a mixture of Focus’s parts before and after 2014 refresh, but the lower segment of the bumper and absence of corner intakes are unique to it. A similar story is on the inside, where steering wheel hasn’t reacted to nip and tuck of regular version, but things on the dash did, while digital instrument gauges were unique from the start. Biggest changes on this front happened last year when liquid-cooled lithium-ion battery grow from 23.0 to 33.5 kWh, expanding driving range from 76 to 115 miles, along with the introduction of capability to use DC fast chargers. That made it competitive again with the majority of rivals offering similar figures in the segment. There is one electric motor driving the front wheels with the power output of 147 hp, which is enough for it to reach 60 mph in 9.9 seconds, which is average for an electric vehicle. But, fortunately, driving manners are above average, as its handling is at the level of regular Focus, with an open inclination to fun and sporty side. The positioning of the batteries remains far from optimal as it occupies half of the boot, making it obvious drawback when compared to gasoline-powered brother. There is only one trim level offered, and it corresponds to the top one of the regular version, making issue with the price of electric cars more sustainable. For the even higher sense of helping the planet, seats are made of soy-based foam or completely recycled material, though you can opt for traditional leather upholstery at additional cost. 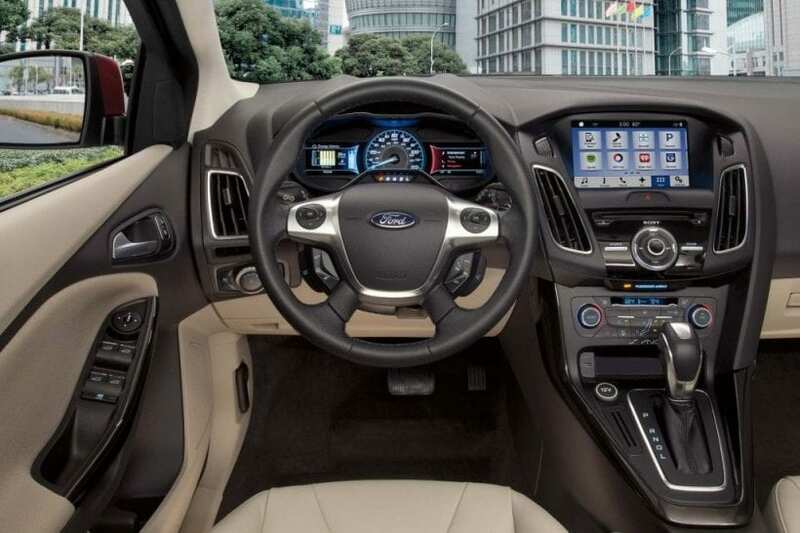 Things like Sync 3 infotainment system supporting navigation, Sony audio system with SiriusXM satellite radio and nine speakers, heated seats and mirrors are all standard. With the price of $30k, it occupies the lower part of the EV segment, if we put aside silly things like Mitsubishi i-MiEV and Smart Fortwo Electric Drive. It looks good, it drives very well, and it has decent powertrain abilities, which then should make it worthy of consideration, although competition is not actually lagging behind. If you want a more refined cabin, you have same priced e-Golf, while for Merc and BMW badges at least $10 k more is needed. For those buyers that crave for something bit more stylish, then slightly pricier Soul EV is your top choice, and if you are for a big range than the absolute king of the block Bolt EV will give you double one for just seven grand more. You see, despite 2018 Ford Focus Electric does everything decently, apart from boot, it is hard to directly recommend it as all rivals have some area where they shine brighter, and the upcoming Tesla Model 3 is going to mess up all current calculations for sure.